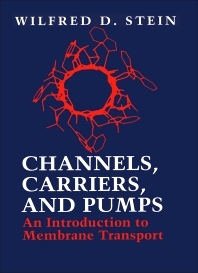 For students as well as researchers this book describes the exciting new advances in the molecular biology of transport proteins and integrates this information with transport kinetics, function, and regulation. Experimental data are linked with theory. Structural Basis of Movement across Cell Membranes. Simple Diffusion of Nonelectrolytes and Ions. Ion Channels across Cell Membranes. Carrier-Mediated Transport: Facilitated Diffusion. Coupling of Flows of Substrates: Antiporters and Symporters. Primary Active Transport Systems. The Regulation and Integration of Transport Systems. Appendixes: Single and Triple-Letter Codes for the Amino Acids. Fundamental Constants, Conversion Factors, and Some Useful Approximations. The Relation between the Permeability Coefficient Ps and the Half-Time t1/2 of Entry of a Permeant. Index. "A book that provides a solid foundation for those entering the field at the research level, as well as for more advanced students, is timely. This book fulfils such a role admirably. Even though it addresses a rapidly moving field, this book is not simply a progress report but is complete in itself. It provides, in a clear and comprehensive fashion, the background and framework essential for putting into perspective a rapidly expanding body of information on the molecular basis of channels, carriers, and pumps. One of the most attractive and important aspects of the book is that it places kinetic and regulatory studies, which often seem boring, irrelevant or incomprehensible, into context, making them readily accessible and emphasizing their importance. 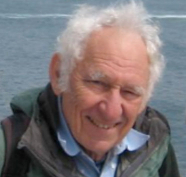 It is unusual, at least in my experience, to find a book or article addressing 'pre-molecular biology' aspects of research that is both enjoyable to read and so admirably places such research in the context of current molecular thinking.